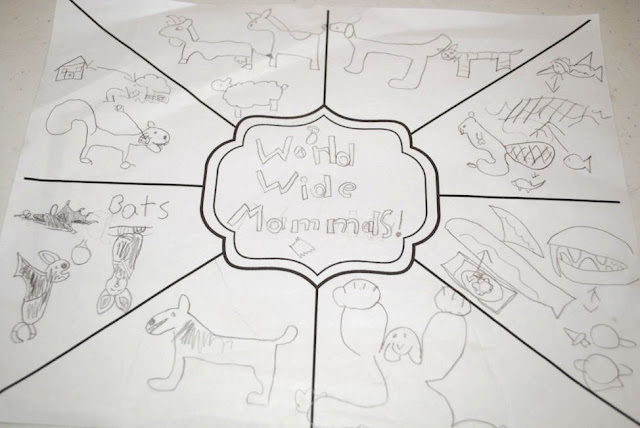 One of my favorite tools for developing my kids' reading comprehension is the story board. I have loved it ever since I read about it in a popular homeschooling magazine. 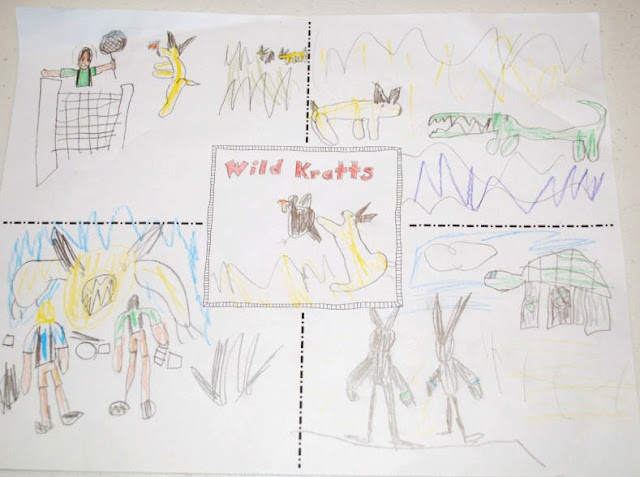 Story boards are simple visual templates that they can fill in using their own imagination and their understanding of the book or subject in question. 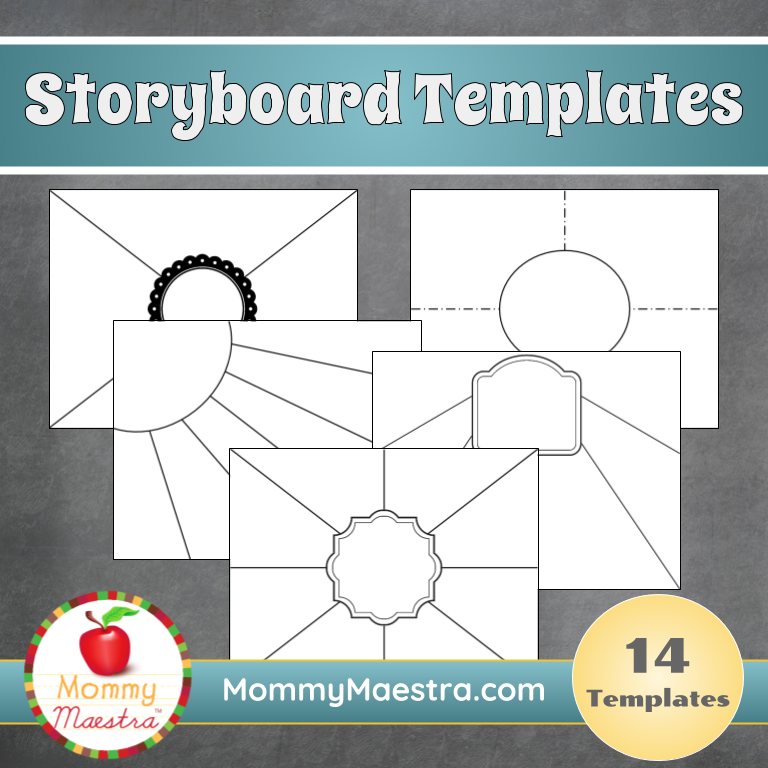 To use a story board, I have my kids sit down and read a book (or I read one to them). 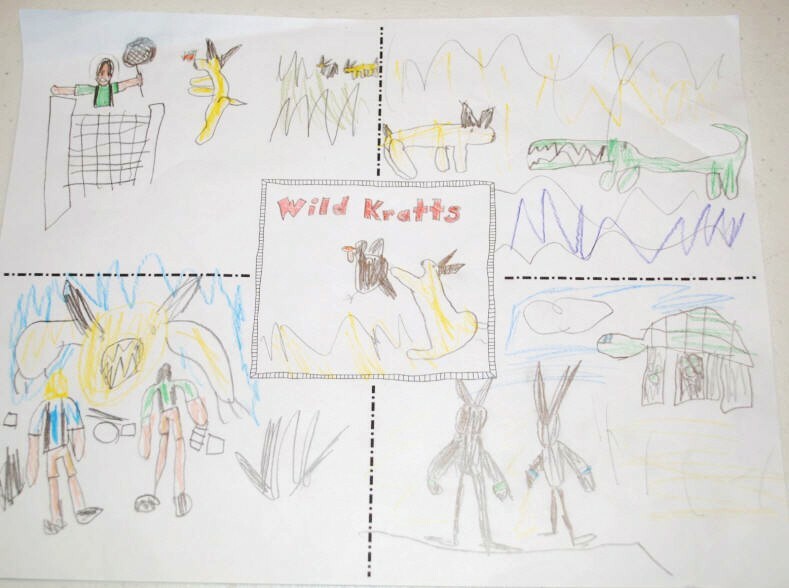 Afterwards, I choose one of the story board templates that I created and I have my kids fill in the sections. I try to vary it, so sometimes I have them pick several passages from the story and draw them in the spaces provided. The center/main shape is reserved for the "cover" or the title of the book/story board. Other times I ask them to draw different characters in the story, or different settings. You can also have them pick a particular theme, and have them draw the main elements associated with it. 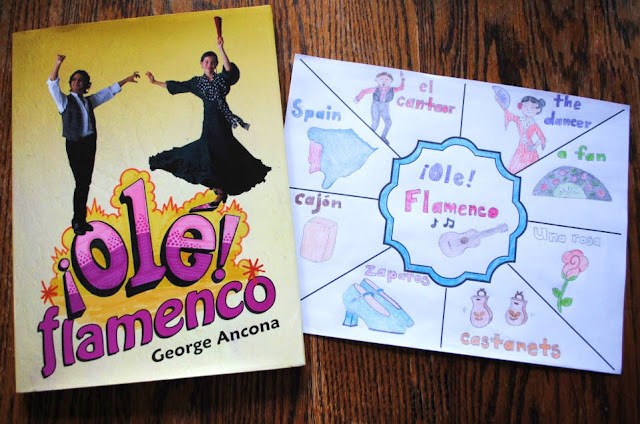 The story board shown above is based off of George Ancona's ¡Olé! flamenco. 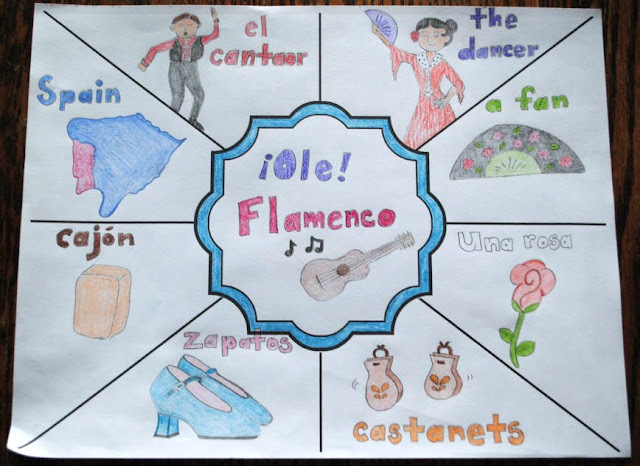 Each section is filled with the elements found within the book that are associated with the beautiful Spanish dance. Sometimes I let my daughter pick which template she wants to use. But I try to use the simpler ones (with fewer sections) for my younger son who has a shorter attention span. The great thing about story boards is that they can be used for ANY language (obviously), and they can also be used across subjects. For example, you can use them in science (i.e., to list different types of habitats, etc. ), history (drawing different presidents, etc. ), geography (to show different types of landforms, etc. ), and much, much, more. Story boards are easy to create on your own. But if you prefer to use mine, I have a set of 14 different story boards available in my teacher shop. You can find them in my TpT store or in my online MommyMaestra shop.